What is better than a yard sale? Having a huge yard sale in one location! Spring is in the air and the City of Dallas hosts a annual “pickers day” in the downtown area. The Pickers Day Sale will be Saturday April 7, 2017. The “Pickers Sale” will be open at 8:00 am until 3:00 pm. There will be approximately 90 vendors. While you are in the area, stop by Seven Hills just off of Cedarcrest Road and see how great your lifestyle would be in a new home at Seven Hills. Creating an wonderful lifestyle, Seven Hills brings a sense of belonging and strong community ties, all enhanced with planned activities by an on-staff full-time Activities Director and Tennis Pro on staff. Your family will enjoy year-round fun, convenience and relaxation. Summer is just around the corner. 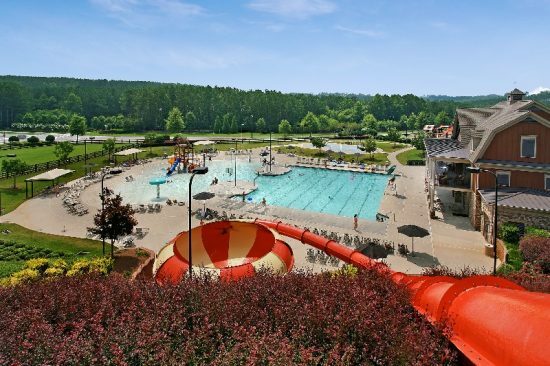 Be moved in and in place for wonderful summer amenities like the “Super Saucer” Water Slide or the Monkey Mansion plus there is an expansive Clubhouse, Tennis, Basketball and Volleyball Courts. There is the community Seven Hills Park, Community Garden and the many winding paths that lead to fun and adventure. Homeowners with children may attend the highly rated Paulding County Schools. Abney Elementary, Floyd L. Shelton Elementary School at Crossroad, Sammy McClure Sr. Middle School or North Paulding High School. These are top-rated schools and North Paulding High School ranks 9 out of 10 for college readiness.